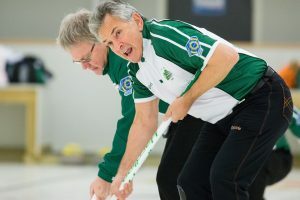 The Irish team, skipped by Peter Wilson, won against Slovakia in the World Senior Curling Championships in Karlstad, Sweden. Game 5. V Slovakia sheet B. 🔨 18/04/16. 4th End. Good build up throughout the end, still had to make the shots. 6th End. Good build up by the team, dictating the end take a 4. 11-3. The boys recovered well after last nights result against Canada. Their next game is tomorrow, Tuesday 19th April, at 7:30 am against Sweden. 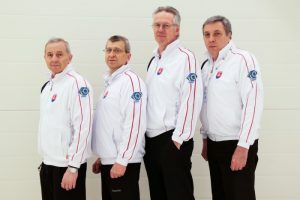 This entry was posted in Event Blog and tagged Peter Wilson, Slovakia, World Seniors, WSCC, WSCC 2016 by ICA admin. Bookmark the permalink.